MANILA, Philippines – Many of us still carry security blankets. As children, it may have been a stuffed toy, or — literally — a worn-out, faded blanket. As adults, there are lucky charms or anting-antings that we carry around and never leave home without (no, your credit card doesn’t count). Whether we will openly admit it, these objects that are sometimes religious or non-religious in nature act as enhancements to our lives; they work to give us a little daily affirmation. I have friends who go for yearly feng shui consultations and come back armed to the teeth with all sorts of colored trinkets and baubles that promise more money, better health, or a hottie in their lives. Hey, whatever works, right? Recently I stumbled upon Dream Stones. 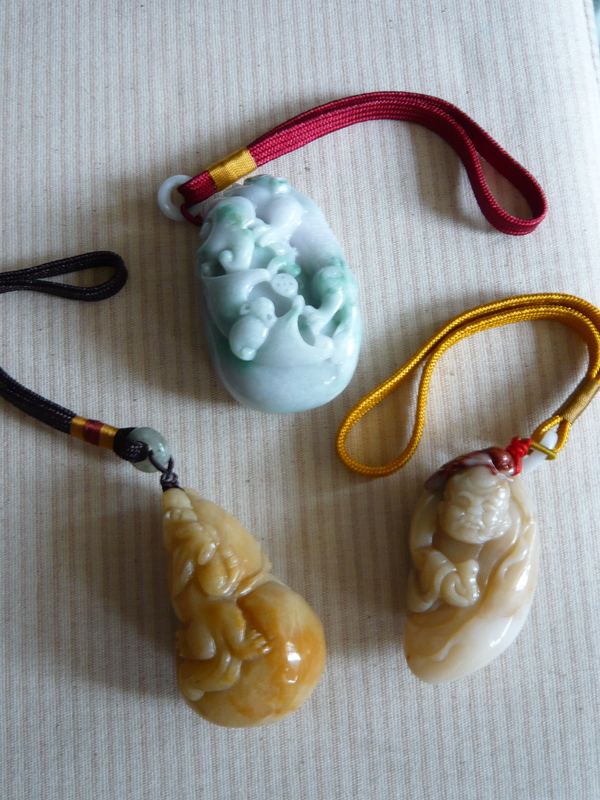 A creation of Accessory Lab’s Rodina Velasco (who discovered these beautiful intricately carved jade figurines on one of her trips abroad), she interpreted what the symbolism carved into each stone stood for and thought, why not make it into something you could use for meditation, or even while you sleep? Dream Stones come in various sizes so there’s bound to be one that seems to nestle perfectly in the palm of your hand, while the colorful wrist strap will keep it from falling in case you accidentally let it go. 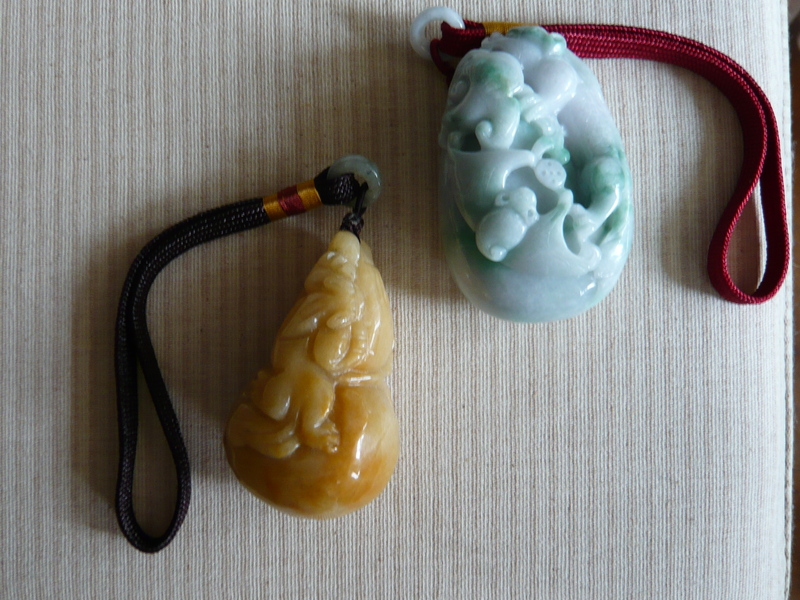 There are different designs and different colors depending on the jade used, and you should hold each one to find out which feels best for you. Also, if there is something you need, you may want to purchase one based on that need. For example, a friend of mine who needs protection during her work (and by protection, I mean from negative vibes or people who are mabigat) got one that had a piyao (like a dragon dog) and a bat carved on it. Another friend got one that had a gourd or wu lou which is a symbol for long life and good health. Jade has long been referred to as the sacred stone of the Orient, and has been called a Dream Stone because it’s said that, when placed on one of the higher chakras of the body, it can bring vivid, insightful dreams. There are several colors that enhance the generic properties of Jade — like blue to give you inner peace and serenity, red for love and vitality, brown for adjusting to a new environment (school, office, house), yellow for energy and — the most commonly known — green for prosperity and abundance. These are of course best carried as you sit quietly in introspection or even while waiting in traffic or for a meeting to start; even right before you turn in for the night. But there is a deeper side to jade: it is believed to be a stone that integrates the mind and the body, and acts as a reminder of your spiritual purpose as you live this life in human form. According to The Book of Stones by Robert Simmons and Naisha Ahsian, jade is one of the most highly prized stones throughout history and cultures. The Chinese believed it would strengthen the body during life and protect one after death and similar beliefs also exist in Central America, while the Maoris of New Zealand consider it a powerful talismanic stone.